2015 has been a pretty frantic year for car shows, many have surpassed expectations, some have fallen foul of the mark however the show season isn’t over till the big lady sings. I am yet to find a big lady singing, but the echoes around the Titanic Dry Dock & Pump House will suffice for me, as it was once home to a titanic-sized big lady! The dedicated lads and ladies from GTiNI rolled out one of the most chilled out enjoyable shows for the fourth year running. This end of the season send off was the perfect event to display cars for one last time, before they begin their voyage to a plethora of workshops all over the country ahead, as owners make changes and updates in anticipation of next year’s events. A suitable virgin must have sacrificed to the weather gods, because for the fourth year there wasn’t an iceberg in sight! In fact, the dry dock was bathed in glorious late autumn sunshine, making the flawless paint jobs sparkle and leaving visitors wondering if they were really in Belfast. A couple of hundred show cars arrived in a very mannerly fashion along with a handful of trade stands in the early morning to set up. By 11am the gates were locked and everyone was busy adding the last minute touches and cleaning down cars. 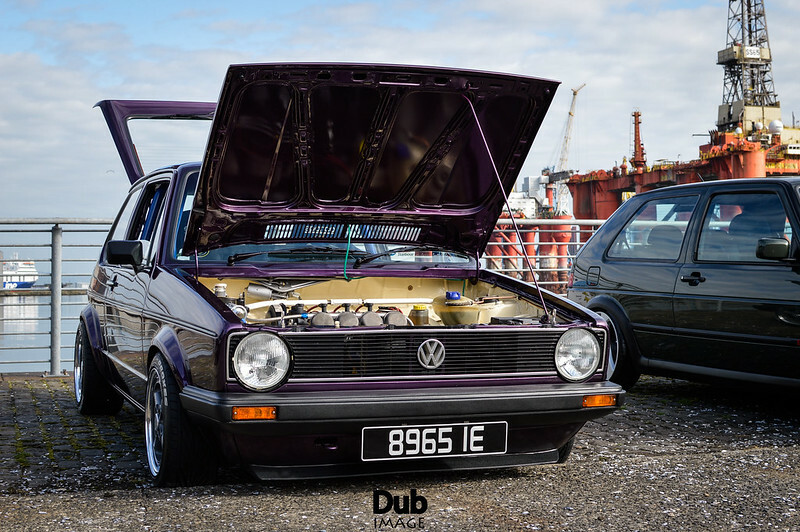 The show thrives on the relaxed and quaint atmosphere provided by the historic surroundings, with many cars and vans travelling over the border as well as the odd participant traversing the Irish Sea to see what Titanic Dubs was all about. For an end of season show, this is incredible dedication! Speaking of dedication, an absolutely impeccable VW Transporter caught my eye. The owner had gone to great lengths to make his own mark, as the van had been chopped and converted into some Yank-inspired pick up, finished in candy red paint. Another highlight was a left hand drive grey coloured “well used” T2 Camper which was fantastic to see. 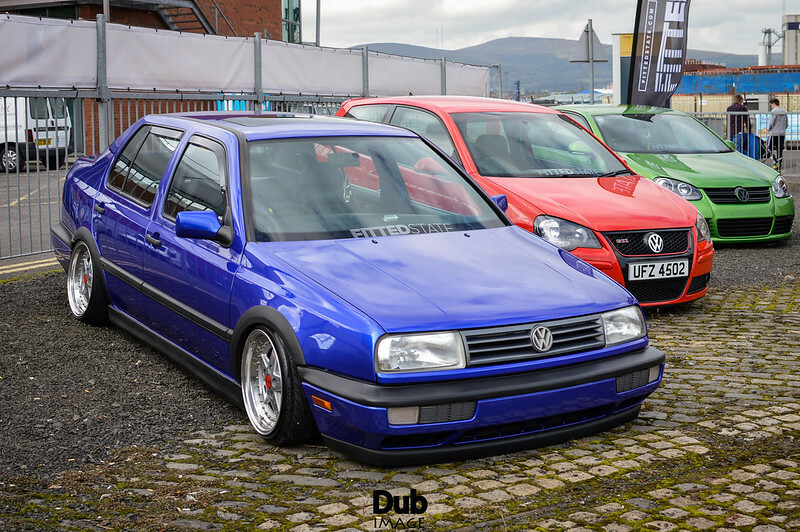 Cars that stood out for me on a personal level were the VW Golf Harlequin. I love to see individuality in show cars and a person thinking outside the box is always to be admired. The attention to detail on this machine was something else. The new-shape red VW Beetle was another big favourite. Just plain and simple, with some tasteful touches. 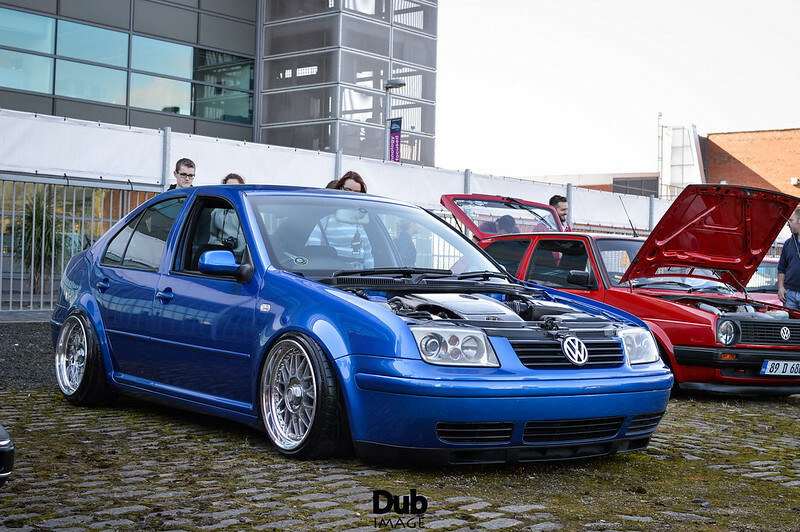 For a budget build, Conor McCann’s VW Golf VR6 put a smile on my face. 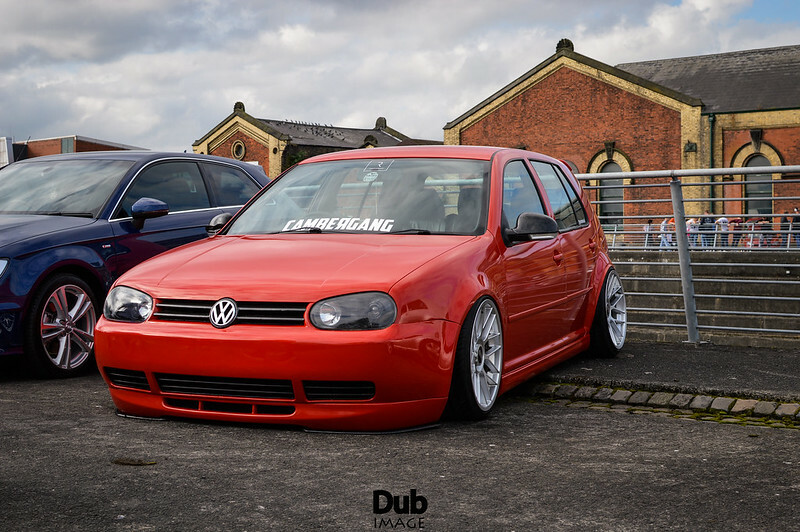 tthis lad’s dedication to VW’s over the years never ceases to amaze me. However, my personal car of the show however was the green VW Caddy pickup truck. No words can describe just how stunning this thing is and the workmanship involved appears to be flawless. Top marks to the owner and those who were involved in lovingly restoring it! 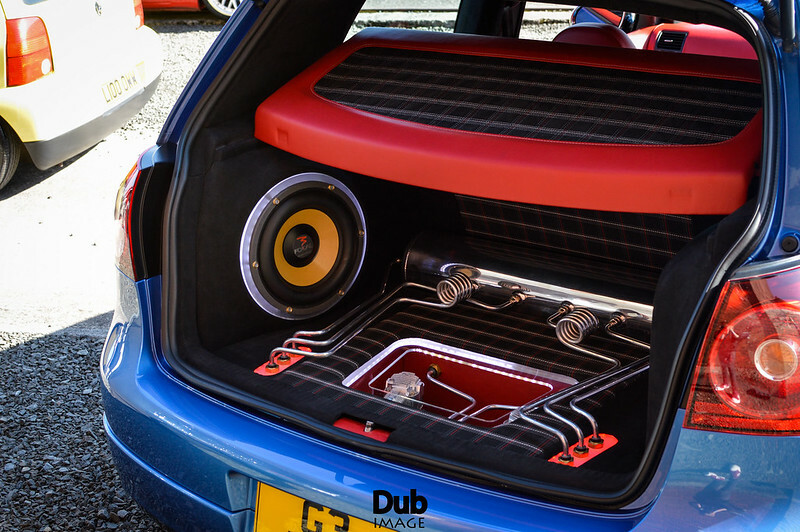 Once again, Titanic Dubs was the perfect way to round out show season in Northern Ireland. All in all, a great old day in the docks and praise is due to GTiNI for keeping the standards high and providing us with some of the best quality viewing on the Emerald Isle. Weather good Coffee shiit Show was grand, as said, the older stuff was much nicer. Bagged stuff IMO has run it's course. | Weather good Coffee shiit Show was grand, as said, the older stuff was much nicer. Bagged stuff IMO has run it's course. Got stuck behind some oul scrapper of a green Mk3 on the M1 this evening there :p.
Lovely day for it which was a bonus .. Preferred the older motors myself (Y) Had a decent day out ! Wasn't a bad day, weather was great and a decent amount of cars. Had the Scirocco up and I don't think it looked too out of place: http://i7.photobucket.com/albums/y262/Paddy_R/IMAG0702_1.jpg Some amount of money spent on air suspension with penny's spent on the rest of the car was notable for me. Though I was one of the very few on standard suspension. | Wasn't a bad day, weather was great and a decent amount of cars. Had the Scirocco up and I don't think it looked too out of place: http://i7.photobucket.com/albums/y262/Paddy_R/IMAG0702_1.jpg Some amount of money spent on air suspension with penny's spent on the rest of the car was notable for me. Though I was one of the very few on standard suspension. good to get a catch up mate ! | good to get a catch up mate ! | Got stuck behind some oul scrapper of a green Mk3 on the M1 this evening there :p.
haha what were you driving old man? I was exhausted coming home. You could have been driving a dynorod orange tank and I would have missed you. lol | Wasn't a bad day, weather was great and a decent amount of cars. 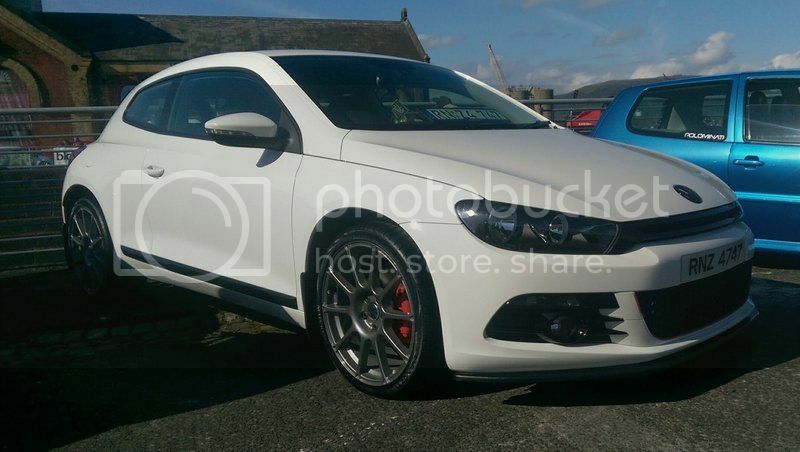 Had the Scirocco up and I don't think it looked too out of place: .